Our 135K BTU Multifuel heater will keep your comfortable when the temperature drops. Adjustable thermostat allows for precise control, and machine comes with easy carry handles and rear wheels for portability. Machine can run on kerosene, diesel, fuel oil, Jet-A or JP-8 fuels. Tank holds 10 gallons of fuel (not included but sold in store) and burns approximately 1 Gal/Hr. 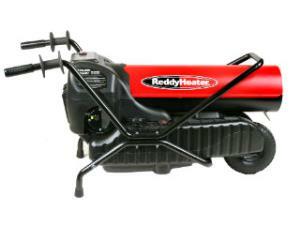 * Please call us for any questions on our heater multifuel 135k btu rentals in Hillsdale and Ridgewood NJ.